Industrial style homes are all about exposing the raw bones of a structure and embracing the authenticity of aged and natural materials. 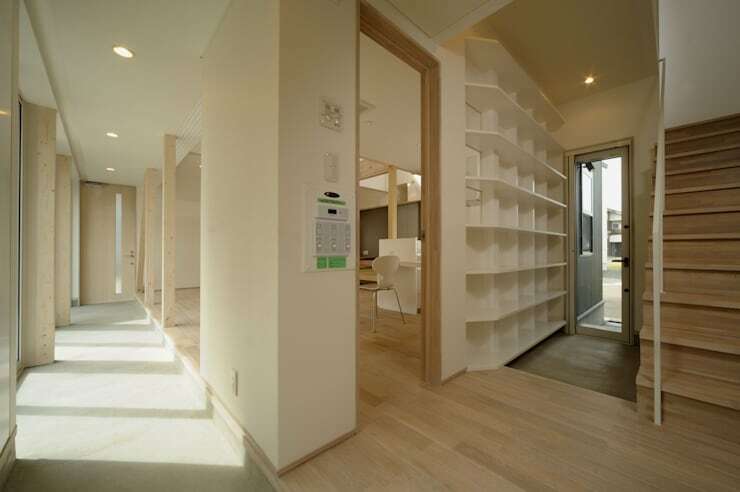 While this is a fairly new style, the basic concepts have a very long history in Japanese architecture. 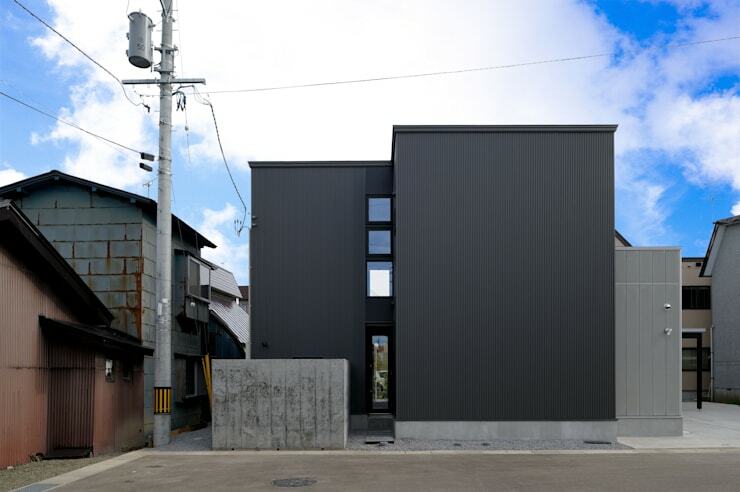 Today, we will explore a modern Japanese home that has been designed with this industrial sensibility. It is an open-plan home with the large and free flowing feel that defines this style. 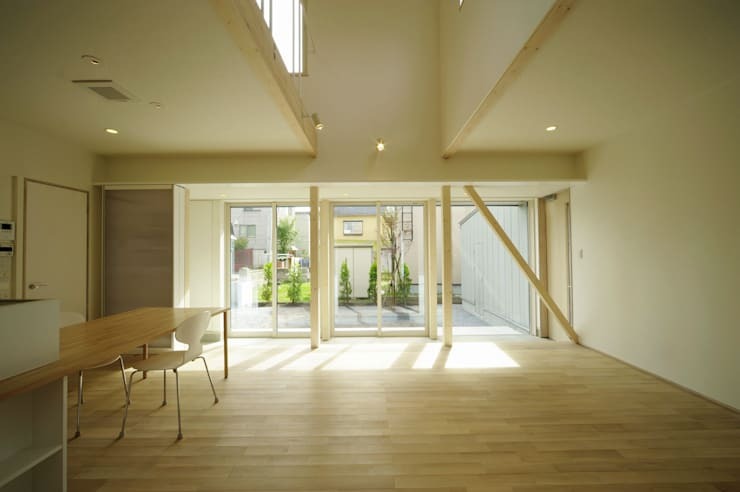 At the same time, the architects have sought to divide the space by using Japanese elements. 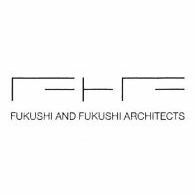 Finally, the project comes to us courtesy of Fuchsia and Fuchsia Architects. So come with us on a photo tour to explore its features. Enjoy! Here we have the entrance on our far right and the main passageway or hallway that bounds the central living space. The pale timber floors and white walls make this a bright, contemporary hallway. But it's the interesting doorways and openings that really infuse this space with a bright, open quality. Large window openings allow lots of light to flood the space. The transition point to the living area is created with a single doorway, another large opening on our left and a shift in the floor level. Inside the living area, we have a great view of the private courtyard and a glimpse of the double height ceiling. There is little to break up the lines of sight in this living room and the space has a very bright and airy quality. An important factor here are the large sliding glass doors. They allow lots of light to penetrate the space. This light continues in one uninterrupted flow across both levels of the home. As mentioned earlier, the industrial style is often distinguished by showing off the raw-bones of a structure. This look is evident here we have a clear cross-directional view of the timber beams that support both the lower and upper floors. We also have a good view of the raw concrete floor that covers the passageway on our right. Open-plan layouts are often all about combining kitchens and living areas, but this certainly takes the concept to a whole new level! 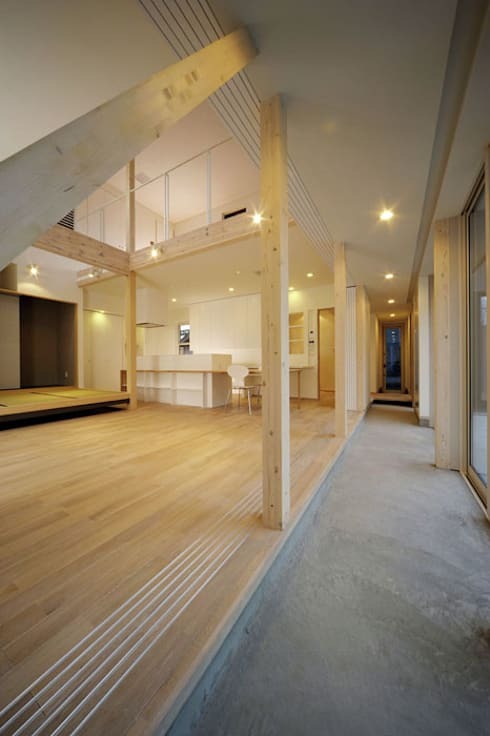 Traditional Japanese homes do not often have individual living areas with fixed functions. 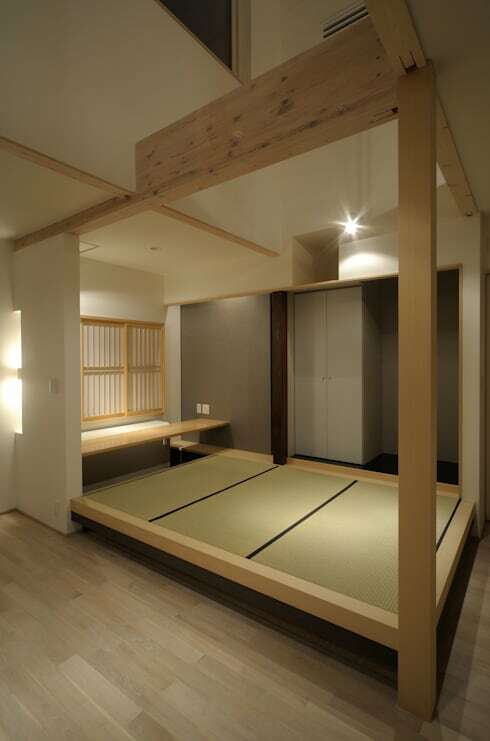 Instead, sleeping areas and living areas are separated in the evening with interior shoji walls. 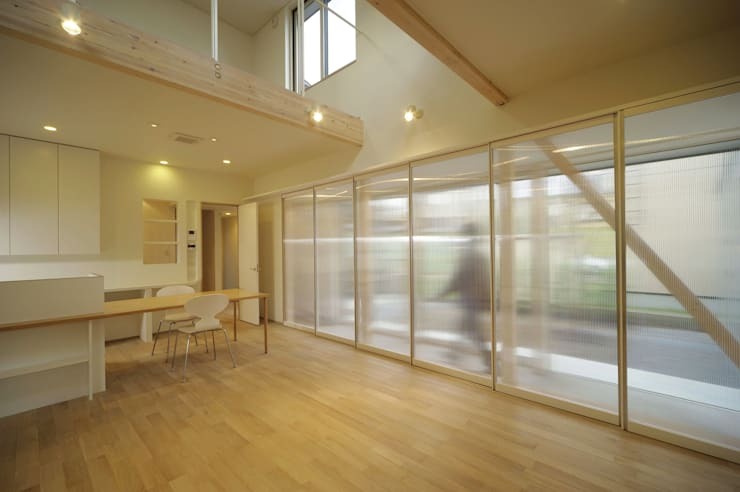 In this contemporary Japanese home, the concept has been executed with the frosted glass screens we see on our right. These close off the passageway we saw earlier and allow the occupants privacy when needed. This traditional Japanese style room is located in the main living area we saw earlier. It's a perfect example of how contemporary and traditional elements can be unified seamlessly. The raised platform floor has the same pale timber beams that permeate throughout the home. This is certainly a modern industrial home with a Japanese heart! If you love contemporary Japanese homes, check out The cube home with a caramel glow. What do you think of the approach to open-plan living in this contemporary Japanese home? Let us know your thoughts!